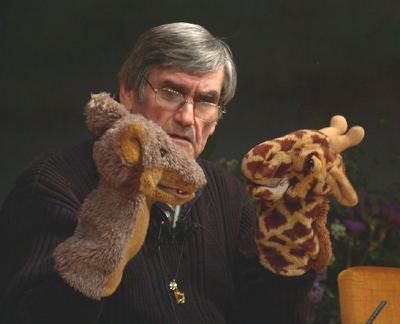 Nonviolent communication (NVC, also called compassionate communication, or Giraffe language) is a communication process developed by Marshall Rosenberg in the 1960s and 70s. As many other self-help direction it is inspired by the so-called Humanistic psychology (see my article Humanistic psychology, self-help, and the danger of reducing religion to psychology). NVC often functions as a conflict resolution process. It focuses on two aspects of communication: honest self-expression (defined as expressing oneself in a way that is likely to inspire compassion in others) and empathy (defined as listening with deep compassion). NVC is based on the idea that humans are innately compassionate, while violence (psychological and physical) is learned through culture. NVC theory supposes all human behaviour stems from attempts to meet a small set of human needs. Needs are believed never to be in conflict. Rather, conflict arises when strategies for meeting needs clash. NVC proposes that if people can identify the needs of others, and the feelings that surround the needs, harmony can be achieved. So, NVC holds that most conflicts between individuals or groups arise from miscommunication about their human needs, due to coercive or manipulative language that aims to induce fear, guilt, shame, etc. These “violent” modes of communication, when used during a conflict, divert the attention of the participants away from clarifying their needs, their feelings, their perceptions, and their requests, thus perpetuating the conflict. The aim of NVC is then to steer the conversation back towards the needs, feelings, and perceptions, until the discovery of strategies that allow everyone´s need to be met. The reasoning is that from a position of mutual understanding and empathy, the participants will be able to find ways to meet their needs without compromising their opponent´s. NVC advocates that, in order to cultivate a deeper understanding of each other, the parties should express themselves in objective and neutral terms, (preferring factual observations about feelings and needs) rather than in judgmental terms (such as good versus bad, right versus wrong, or fair versus unfair). 1) Making neutral observations devoid of interpretation or judgment (e.g. “I see two balls of soiled socks under the coffee table, and three next to the TV.”). 2) Expressing feelings without justification or interpretation (e.g. “I feel irritated”). 3) Expressing needs drawing from a list of fundamental human needs (e.g. “I need more order in the rooms we share.”). 4) Making clear, concrete, feasible requests (e.g. “Would you be willing to put your socks in the washing machine?”). In response, the listener may build empathy with the speaker by responding with reworded versions of the speaker´s own statements (“I hear you saying that...”), thus confirming for them that they have been heard and understood. NVC requires listening carefully and patiently to others, even when the speaker and listener are in conflict. 1) Empathy, including both self-empathy, and empathy for another. 2) Honest self-expression, including “please” (request) and “thank you” (gratitude). The empathy process practised in NVC is sometimes called “deep listening”. It involves the listener connecting with the essential core of an individual´s experience and offering a kindly energy of presence. The empathy process offered by NVC is often referred to as “giving empathy.” It is more accurately a procedure that supports the development of true empathy. 2) Feelings evoked, sometimes guessing what feelings might be, if the other is (for example) in blame mode. 3) Needs both met and unmet, although the unmet needs are most likely to be provoking the feelings involved. The name “nonviolent communication” refers to Mohandas Gandhi´s philosophy of ahimsa or nonviolence. Unlike Gandhi, Rosenberg endorses the use of protective force – the use of force to keep injury from occurring, so long as it is not punitive, i.e., force applied with the intention to punish or harm someone for a past deed. Rosenberg says the desire to punish and the use of punitive measures only exists in cultures that have moralistic good/evil worldviews. He points out that anthropologists have discovered cultures in many parts of the world in which the idea of someone being “bad” makes no sense. He says such cultures tend to be peaceful and do not rely on punitive force to correct maladaptive or harmful behaviors. One example of such a culture is the Semai people in Malaysia. I would like to hear more about who these anthropologists are. I simply don´t believe it is true what Rosenberg here says. I will just point out, that there has been produced many wrong theories of language in connection with other cultures, and that one should be critical towards claims like Rosenberg´s. An example is The Sapir-Whorf Hypothesis, which is about, that the Hopi Indians in New Mexico have a quite other language than ours, and therewith quite other concepts about time and space, concepts, which even should be closer to the theory of relativity than our own concepts about it. It has since shown, that this hypothesis has no foundation in reality (read more about this in my article Constructivism: the postmodern intellectualism behind New Age and the self-help industry). Anyhow, there certainly is a constructivistic element in NVC since it believes you can make people compassionated just be changing their language. This is of course an illusion. Making people compassionated requires many years of meditative-existential training of the mind and the heart, and only a very few people will actually be willing to do this work. So, as in many other New Age directions, NVC tries to create easy solutions, and as we shall see, with only one result: dangerous delusions. Rosenberg further states that he developed NVC as a way to “get conscious of” what he calls “Beloved Divine Energy”. The emphasis on spirituality is potentially troubling for both atheists/agnostics and people who adhere to perticular religions (e.g. Christians). Needs are in NVC seen in relation to two types of feelings: feelings when your needs are satisfied, and feelings when your needs are not satisfied (on many NVC websites you can find lists of fundamental needs and the two types of feelings). So NVC is about how you can get your needs satisfied. But when you reduce, for example universal values such as the good, the true and the beautiful, to needs ("Universal needs"), then the whole thing is being turned upside down, because then your being is seen as something not-yet satisfied, a state of becoming, and therefore desire. And with becoming and desire you have the ego: the direct opposite of the good, the true and the beautiful (remember that in for example Buddhism they see desire as one of the main poisons of the mind). In my article The four philosophical hindrances and openings I have investigated this turning spirituality upside-down paradox which the whole of New Age and the self-help industry are characterized by. Also see my article The pseudoscience of reductionism and the problem of mind for a deeper explanation of the epistemological and ethical shipwrecks all reductionisms end up in. A main problem in connection with this reductionism is that NVC one-sided is focusing on needs and feelings, and thereby is neglecting the important function of thoughts, yes, it directly abjures the thoughts. Feelings are the body´s reaction on the mind (the thoughts). There is always a thought coming before a feeling. But NVC abjures the thoughts. The confusion is that neither feelings, nor needs, can be expressed neutral as NVC is claiming. All feelings, and all needs, are evoked on the background of thoughts; that is: on the background of judgmental terms (such as good versus bad, right versus wrong, or fair versus unfair). Irritation is for example evoked because of a negative automatic thought. You can therefore neither express a feeling of irritation, nor the needs in connection with this irritation, without the implied negative automatic thought (the judgment). But that is what the formal NVC self-expression claims. And in the following oblivion of the thoughts, NVC actually is allowing negative automatic thoughts to speak without control. And negative automatic thoughts are the cause of violence (see my article The emotional painbody and why psychotherapy can´t heal it). All negative feelings (and a lot of “positive” feelings) are caused by thought distortions. Therefore thought distortions (and the following negative automatic thoughts) should be clarified through critical thinking. Critical thinking is the only tool you can use in order to explore, change and restructure thought distortions (see my book A dictionary of thought distortions). But NVC not only abjures critical thinking, but thinking as such. And in the following oblivion of the thoughts, NVC is allowing the thought distortions to speak uncontrolled. A famous phrase of Rosenberg´s sounds: “Would you rather be right, than happy?” Personally I have been met with this phrase several times from NVC consultants, when I am using critical thinking. And always with a triumphant look in their faces. But try to look closer at the phrase. It actually exposes a world-view, which focuses on an interest in finding ways of getting on in the world, rather than an interest in finding ways of discovering the truth; that is: a world-view controlled by thought distortions. It is by the way interesting, just to comment on the above-mentioned phrase, that many of the highest ethical placed humans on Earth actually have sacrifized their own personal needs, and even their lifes, in the defence of truth, instead of just being happy over having their needs (greed) satisfied. It is after all so, that critical thinking is self-forgetful (=compassionated) in the sense that it is seeking a truth that goes beyond personal interests. Just take Gandhi and Martin Luther King. And take the Chinese dissident Liu Xiaobo, who in his defence of justice and human rights, is taking 11 years in prison (he won the Nobel Peace Prize in 2010). And take Jesus. Try to use the phrase on these people. The answer could very well be, that these people rather should have been interested in own tiny narrow egoistic needs, instead of their quest of truth; that it would have been better for these people to use lies in order to get their egoistic needs satisfied, instead of insisting on truth. This is actually what the NVC theory could imply, and what exposes a side of it, that is without compassion and ethical understanding, yes, that it can be used with the direct opposite intention. So the ancient use of critical thinking within philosophy, and which time after time has shown to be the best tool to clarify thoughts, is eliminated within this theory. The only thing left then, is to rummage about in your own wishes, feelings and needs, where you can be manipulated by any charlatan that feeds your ego; and eventually: violence. And here the main problem of NVC shows its cruel face. NVC is in extreme way self-contradictory. The extreme is, that NVC ends in the direct opposite of what it preaches. It is a moralizing, violent and manipulative use of language, that tends towards psychic terror. The reason why it also is called Giraffe language is that the Giraffe´s heart is so big. This "nonviolent" Giraffe language is then put up as an opposition to what NVC is calling the "violent" Wolf language. Rosenberg is often sitting with giraffe gloves and wolf gloves on to demonstrate this. NVC has directly, in an extreme black and white way, made lists of, what is considered as good and bad use of language. On the "bad" wolf side is for excample critical thinking. Rosenberg is demonstrating a process of critical thinking even if he abjures it. And this “critical thinking” is poisoned by a number of thought distortions, precisely because he abjures thoughts, and therefore the possibility of clarifying them. While NVC ostensible encourages active listening, it rather may encourage repetitive attempts to diagnose the feelings and needs of the speaker. This may result in “apparent listening” which is in fact a deflection of responsibility for action and a lack of authentic presence. An example of what I call The Hermeneutics of Suspicion - see my article The Hermeneutics of Suspicion (the thought police of the self-help industry) and why I am an apostle of loafing. It is enforcing a situation of no thinking, of one-manship, using pop-psychologizing diagnosis, and a deflection or refusal of responsibility for action by the person versed in the method. It can be used for manipulation and often creates rancor rather than healing it. It is interesting that NVC coaches seem unaware of the thought distortion called Priming effect, because they praise the neutral approach, while using a theory, which not at all is neutral. Included is also the thought distortion called Communal reinforcement (again: see my book A dictionary of thought distortions). NVC is a method with flaws used with possible opposite intent in ways and times and places it was never intended to be used. The result is predictably opposite to what intended. It is violent, harmful, disrespectful, especially because it refuses to listen to those who are using a normal language, and especially to those who are using critical thinking. NVC has harmed friendships, relationships and dear ones by well-meaning attempts to apply NVC. It doesn´t seem to understand that put-downs, ruination of reputation, and emotional torture, also are violent. Today we live in a so-called postmodernistic dystopia, where eternal values such as goodness, truth and beauty fall more and more away – and where we have been invaded by the ideology of relativism, which rulers, in creeping ways, use the same phrases as the rulers in George Orwell´s dystopian novel 1984, as if they had used it as inspiration. The name Newspeak is the name Orwell gave the language, which the rulers in his novel had created. The intention with it was to control thinking, to make some ideas impossible to think, including concepts such as good and evil, true and false, beautiful and ugly. In this connection they used concepts such as old-thinking and new-thinking, so that people get a feeling of guilt, everytime they use concepts within old-thinking. The nearest to an attempt of actually creating a new language, which implies some rules about what is considered as “negative” and “positive”, is in my opinion NVC. This way of communication is especially characterized by one thought distortion, namely That´s judgmental. That´s judgmental is a statement sometimes mistakenly treated by its utterer as a knock-down argument against what has just been said. The assumption so obviously being made by those who use this phrase to silence discussions, or critique, is that, for some usually unspecified reasons, judgments are considered as an invention of the devil; that is: judgmental terms such as good versus bad, right versus wrong, fair versus unfair. I will mention two reasons though: namely subjectivism/relativism and misunderstood spirituality. Both subjectivism and relativism claim, that there doesn´t exist any objective truth. Truth is something we create ourselves, either as individuals or cultures, and since there doesn´t exist any objective truth, there doesn´t exist any objective scale of truth. All truths are therefore equally true and equally valid, and if one person´s truth, or one culture´s truth, try to intervene in the truths of other individuals or cultures, then this is considered as an aggression. The misunderstanding happens when you only focus on 3; for example in meditation where you practise neutral observation, passive listening presence, etc. ; that is: where you try not to make judgments - because in order to exist in the world you must think, and therefore make judgments. In every act of communication you must think, and therefore make judgments. The art is then to make these judgments liberated from thought distortions, and therefore liberated from the painbody. Critical thinking is a central aspect of exploring, changing and restructering thought distortions. NVC has directly put That´s judgmental into system by combining subjectivism with misunderstood spirituality, where 1 and 2 precisely has been removed. You are, as mentioned, here encouraged to observe neutral (this is possible in meditation) and express your feelings and needs without judgments (this is not possible). The contradiction here is, as already explained, that if you for example have a feeling of anger, then this anger is caused by a thought and therefore a judgment, and therefore you can´t express it neutral. Shortly said: a feeling is a judgment (if you actually were observing neutral then the anger hardly would emerge – or said differently: the painbody would not be active). But NVC completely abjures thoughts, and in the oblivion of the thoughts, NVC allows thought distortions to speak uncontrolled. And since the negative thought pattern behind the painbody consists in thought distortions, NVC also allows the painbody to speak uncontrolled. To be a witness to a NVC group session is therefore something of an experience. Nobody notice the self-contradictions; not even the obvious division of language in giraffe language (good) and wolf language (bad). It is heart breaking to see the manipulation, the creation of rancour, the disrespectfulness, the put-downs, the ruination of reputation, and the emotional torture, which in NVC happen in the name of compassion and nonviolence. And due to another thought distortion Subjective validation most of the participants will say that it was a good experience though it wasn´t. So, rather than saying that judgments are an invention of the devil, you could say that the thought distortion That´s judgmental is an invention of the devil. The problem of NVC is characterizing the whole of the New Age and self-help industry, which are based on the same fundamental psychologizing sources of inspiration. Besides that I myself constantly are being attacked with That´s judgmental, then one of the more funny examples is a New Thought online expert, who not only advised her client to remove the word critique from his online-material, but also to remove “all judgmental terms.” If he should take that literally, he might as well close his website. The idea that we should not be judgmental is therefore not an easy position to defend in any context since almost every aspect of our lives which we are likely to argue about is infused with judgments: we make implicit judgments in nearly everything we say. There is rarely any justification for deeming judgments impermissible. What you can discuss are judgments characterized by thought distortions. The statement That´s judgmental can itself be construed as judgmental: it is a judgment that what has just been said is worthless because it is judgmental. The act of deeming worthless itself involves being judgmental, so this position is self-refuting.